I know we have all seen these cute grouchy ladybugs on blogs and Pinterest and some of us have probably already made them, but I love how my friend added glitter to hers!! This grouchy ladybug does not look so grouchy!! I have talked a lot lately about word prediction so I have been trying to use it in classrooms. 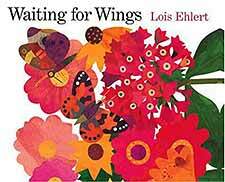 Today I did a lesson using word prediction and the book Waiting For Wings by Lois Ehlert. 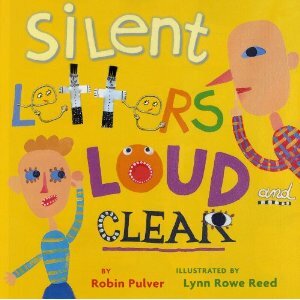 This is one of my favorite Lois Ehlert books. First, we looked at the cover and the title. I helped the students generate a discussion about what words they predicted would be in the text based on the cover and the title. I made sure to use the words predict and prediction. It is important we use that academic vocabulary even with our youngest learners. While I reinforced the word predict with phrases such as making a smart guess or telling what words they thought would be in the book, I made sure to repeatedly use the words predict and prediction as well. It is important to have students explain their word predictions. Have them tell you why they predicted their word would be in the text. I asked students to pay close attention as I read and to show me a thumbs up if they heard me read a word we predicted would be in the story. After reading the story. We went back to our chart and went through the word list again. We checked off the words we read in the book. We talked about the words we did not hear and why they were not in the text. 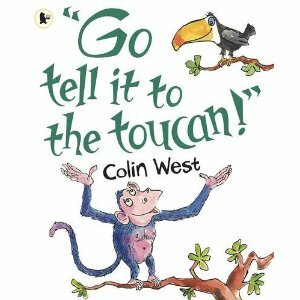 We also talked about words we used that meant the same thing as different words the book used. Then we filled in the blanks on this chart using words we predicted. I called students up to help me write the words. The whole group helped sound the words out. I followed this whole group writing activity up with an independent one. I had students write several sentences using some of the words from our prediction chart. I left the word list up for students to use as a word bank but I took the actual sentences we had written down. Then they drew pictures of butterflies. If time had permitted, I would have made butterflies with the students to display with our charts. Here is an example of butterflies I made with another class of mine. This butterfly art is a crayon resist. Students drew and colored their butterflies with crayons and then washed over them with watered down tempera paint. Students can use stencils to trace butterflies on their paper and then color them in with their crayons and finish up with the wash. I visited my former teammates today. 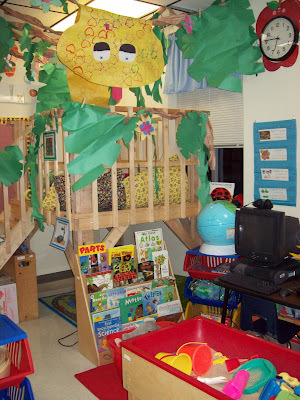 Their halls and rooms were full of animals and all that they have been learning about the rainforest. 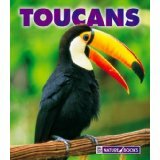 The toucans were my favorite!! Here they are. The bodies were made by clipping corners and rounding rectangles and squares. The beaks were pre-cut. 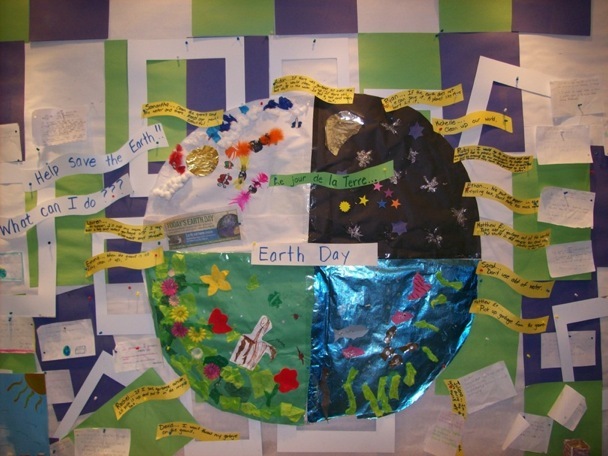 Some were made from construction paper and some were made from paper plates. 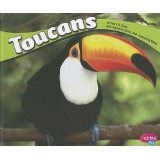 Here is a fun toucan poem I found for a special Skype visit we had today with friends in Illinois. The second one said "I flap my wings,watch me go!" 20 Super Spelling Centers Mixed With a Little Lemonade Fun! 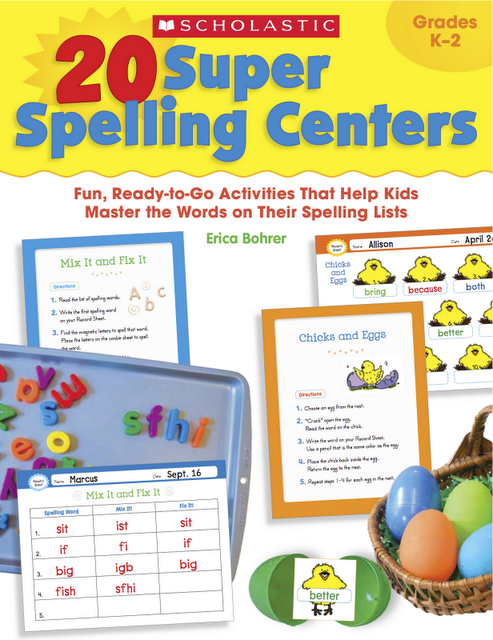 Looking for a few new ways to have your kids practice their sight words.... check out Erica Bohrer's new book 20 Super Spelling Centers. You can read more about it and find a direct link to purchase it here. Go to her post 20 Super Spelling Centers Contest to enter to win a free copy!! 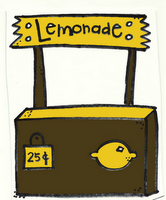 I was looking for a fun activity to do with a kindergarten class next week when I came across Sarah Cooley's new lemonade unit called Lemonade Stand. It is perfect for reading, writing, math, and a little lemonade fun! I am not sure what activity I am going to use yet because they all look great! To check out the unit and hear the very special story behind it, go to Sarah's post Lemonade Stand. I am a bookaholic!! I have a severe addiction so I am always on the lookout for new books. I just came across this book in a post by Abby Mullins- The Easter Bunny's Assistant by Jan Thomas. The Easter Bunny's new assistant has a problem- every time he gets excited he lets off a horrible smell.... needless to say coloring eggs is VERY exciting!! 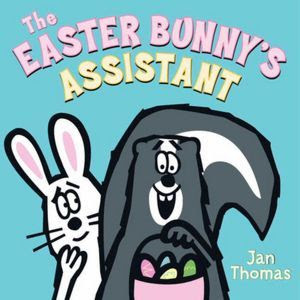 You will have to check out the book to see how the Easter Bunny manages to color all of his eggs without Skunk's smell. Check out Abby's post and $4 mini-unit that goes with the book in her post The Easter Bunny's Assistant Companion Pack. I am finally getting around to watching The Virtual Teaching Expo Everything's Primary that launched in February - better late than never :-) I have not watched all of the videos yet, but I just finished Kimberly Gillow's Systematic Approach to Helping Struggling Readers and I loved it so much that I wanted to post about it. For me, Kimberly's session made my purchase of $15 more than worth it! I felt like the session was not only full of great tips, but also full of ideas that were new to me. Even when Kimberly talked about a strategy I was already using, she seemed to add another level to it. I took so many notes and have so many new tips to share with teachers. If you have not purchased Everything's Primary and watched it, I highly recommend it. You can check out more of Kimberly's great ideas on her blog Funky First Grade Fun. If you are teaching about oviparous animals or life cycles, you will want to find a copy of Pig's Egg to read to your students. Pig feels left out when he can't find an egg to hatch. Read the book to see what he finally hatches. This is the cutest book!! 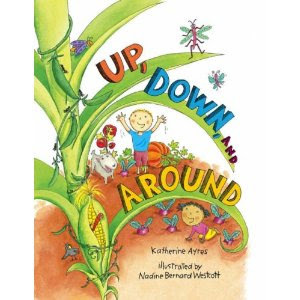 I bought the book Up, Down, and Around last week from the book fair and really wanted to use it in a lesson this week so I put together a subtraction lesson using veggies. I had students use their arms to act out up, down, and around as we read the story. We acted out subtraction story problems using a big brown basket and veggies. I had some printer issues so I had to use black and white veggies instead of color ones. The farmer picked different numbers of veggies and placed them in his basket. Then we all used our arms to pretend to carry a big heavy basket and drop some. Each time different numbers of veggies would fall out. I wanted to focus on groups being separated from the whole rather than being taken totally away. Some kids get confused when they "x" out objects or think that subtraction always means "take away." We focused this lesson on part of the group being separated from the whole. We acted word problems out many times to give everyone a chance to participate and to make sure students had a good understanding of the subtraction process. Then we acted out more story problems using our vegetable cut-outs. Once students have a good bit of experience with subtraction story problems, have them create their own problems to act out. After we did several different subtraction problems for practice and discussion, I had students place all 8 of the veggies in their basket. Then they drew a playing card to determine how many veggies fell out of their basket. Students glued their veggies down. Then we worked together to talk to their story problem and to fill in the blanks at the bottom of the page. To make the veggies: I gave students colored squares and rectangles and had them clip all 4 corners and round. After all of their veggies were cut, we acted out story problems using them. Depending on the level of your class, you could let students pick their own veggies and use number generators to determine the number of veggies they start with. For management purposes, I made these decisions for the students. I have them the same number of each vegetable and 8 total. Remember to ask lots of questions throughout this process and always have students explain their thinking. You can ask how many are in each group, which group has more, which group has less, how many more, etc. Click here to download the words for the activity. Click here to download the veggie pictures for acting out the problems. I was in a pre-k classroom last week and I wanted to share the way the teacher had her stations set up. 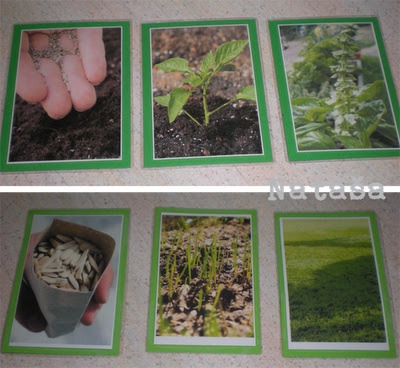 She has 3 activities for her students to do in each station. She has a class journal in several of her stations. This was the part that I really liked. She has a spiral notebook that is used by all of the students who go to the station. In it, students record pictures and sentences about what they did in the station or something they learned. The examples I looked at varied from pictures, to diagrams, to sentences, etc. You could give your students a focus or let them make their own decisions about what they journal about. Instead of photocopying recording sheets or putting loose paper in the station, the teacher used the journal. It was a great assessment piece for showing student growth over time. 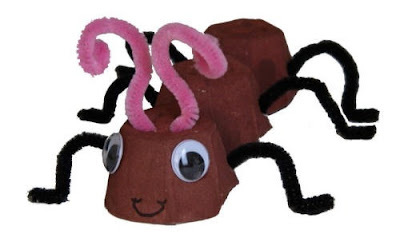 Here is a pre-k example. I liked the way the teacher managed sorting activities too. She grouped them on poster board using Velcro instead of having lose pieces that go all over the table or floor. 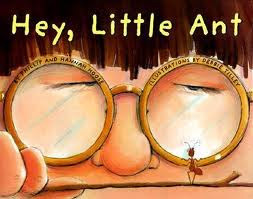 Amy Rider from Literacy and Laughter is having a Classroom Library Linky Party and I am joining in. Here is how I set up and manage my classroom library. I try to change things up every once in awhile to keep kids engaged and excited about going to the classroom library station. I have used lamps, pillows, stuffed animals, chairs, pointers, and themes to keep the station fun. I change the books out periodically to hold interest. For my kinder kids I have always grouped my book bins by letter or theme. I have not grouped books in the classroom library station by level in kindergarten. I also switch out using big books and magazines. I label book bins with picture/word cards and put color coded stickers on books to help them get back to the correct bin. I usually begin the year with just a few books in each bin. Once students get good at keeping up with the station and getting books back where they go, I gradually add more books to the bins. Here are a few pictures of different ways I have set up my classroom library. Sometimes I use the bookshelf instead of book bins. This works well for starting the year. 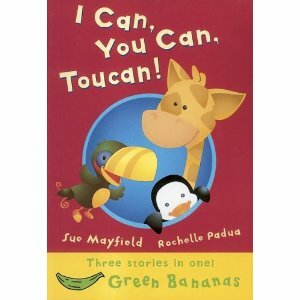 Create "I Can" lists of what students can do in the classroom library. Take pictures of them doing it and display them with the list. Put fun chairs out for students to sit in. My students always love having a "reading buddy" to read with. Sometimes I move the station and have it include my big books and pointers. Sometimes I have a theme. This is when I had a rain forest theme. I added stuffed animals and books on the rain forest and added the snake over the station just for fun. The book shelf you see on the floor was part of my science center. I store my books in bins by letter, concept, theme, author, etc. I pull books from my buckets to place in the station. I change the books in the station out periodically. Sometimes I combine my listening center and classroom library because I have so many stations. Store books and tapes or CDs in a pocket chart made for folders. I teach students to put one book and one tape in each pocket. The pocket they go in does not matter. I got this pocket chart free from Highlights Magazine. Link up with Amy at Classroom Library Linky Party and tell everyone how you set up your classroom library.